David Leonhardt of the New York Times writes about an interesting initiative aimed at improving socioeconomic diversity at elite colleges. Due to sticker price shock, many low-income families automatically assume that highly-selective, expensive private colleges are not practical options. Instead, they opt to go to public schools with lower tuition rates. While it is true that the tuition for private colleges is much more expensive than public schools, poor families might actually get a better deal at private colleges because financial aid is more substantial. An experiment was conducted by ECO-Comprehensive Intervention group where they actively sought out high-achieving, low-income students. With the support of schools, such as Stanford, Princeton, and Northwestern, specific mailings were sent to these targeted families in order to encourage them to apply. Actually, there were two control groups with similar SAT schools with one low-income group receiving the mailings, while the other did not. 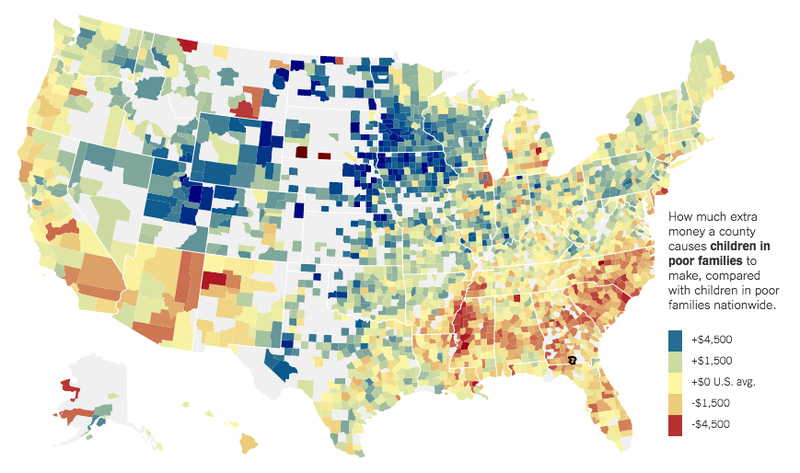 Economic diversity is where a college has a mix of students of varying income groups. When looking at Ivy League colleges, most of the students come from affluent families due to its enormous cost. This is problematic because it is a barrier to social mobility, where the U.S. lags most advanced countries. Lower social mobility is exemplified by the severe rates of income inequality that we have experienced over the last couple of decades. Previously, elite colleges were mostly interested in racial diversity in order to counteract past discriminatory practices. With affirmative action, many talented African Americans were able to gain access to selective colleges and have been very influential in the U.S. American Express CEO Kenneth Chenault and the current President of the United States, Barack Obama are two Ivy League African American graduates that come to mind. While it is not certain what role affirmative action played in the admission of either, Harvard’s increased focus on attracting more minorities helped increase access to an exclusive network, which undoubtedly played a role in their ascension in the corporate and political realms. Their sustained level of success shatters the stereotype that minorities cannot compete at the highest levels. Providing preferential treatment based on socioeconomic status will be important with the existence of affirmative action in jeopardy. The U.S. Supreme Court is considering a challenge to affirmative action and might end it due to a perception that we live in a post-racial society. Even though one can argue that the legacy of slavery and racial segregation has a negative impact that can be felt through psychological scars and stereotypical behavior that exists today, the intent of affirmative action was always temporary and many Americans feel that the vestiges of discrimination have been eliminated. However by basing admission decisions on socioeconomic status, that would pass constitutional muster and achieve similar goals due to minorities more likely being low-income than whites. If that is the case, that can be an effective way to promote social mobility where the U.S. lags many of their peers, while maintaining racial and cultural diversity. Achieving social mobility is a noble goal that was once a tenet that made America so great. The U.S. used to be known as the land of great opportunity where one can rise to great heights from humble beginnings. Unfortunately, those opportunities are scarce due to inequitable access to education and unstable family structures. These environmental barriers are analogous to two baseball players where one faces tough conditions with inferior equipment, while the other enjoys ideal conditions with superior equipment. 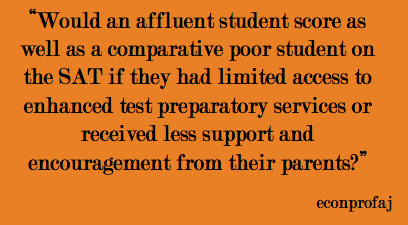 Would an affluent student score as well as a comparative poor student on the SAT if they had limited access to enhanced test preparatory services or received less support and encouragement from their parents? If your answer is no, then supporting preferential treatment based on socioeconomic factors would be one way to level the playing field. My motivation for this blog stemmed from a funny analogy made by Thomas Sowell, whose simple, yet outrageous example, speaks to the inefficiency of government. Build a statue of Benedict Arnold. When budget cuts are imposed, they decide to do away with child vaccinations, rather than stop building statues of a man reviled in U.S. history. Why would they do that? Because that will make it more likely that the budget cuts will be reversed because the general public will demand the vaccinations be reinstated. How does that relate to today’s politics? With the sequester imposed on March 1, we learned that the Department of Homeland Security has released a number of illegal aliens due to lack of funding from the spending cuts. We can also look forward to cuts to educational grants to disabled children and low-income school districts. While there is waste within all federal agencies that could be cut, those inefficiencies are hard to eliminate due to lack of competition. Additionally, these appropriations may be a drag on economic growth by drawing tax dollars away from more productive activities, such as freeing up more income toward investment spending. However, they do provide more social stability and relief to the vagaries of poverty. 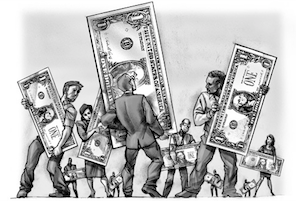 We live in a dangerous world where there are vast disparities in wealth between nations. With the advent of YouTube and various social media outlets, it is much easier for people to compare and contrast their way of life with others. This creates envy, anger, and frustration that can result in dangerous associations aimed at disrupting the lives of the more affluent. Religious fanaticism and grinding poverty can lead people to resort to extreme measures and even death to lash out at what they believe are unfair outcomes. That is where the Department of Homeland Security and our military forces come in to protect the general public from acts of terrorism. Then let us transition to poverty where health care and lack of jobs are barriers to advancement. Even though most people might believe that anti-poverty programs are limited to only its recipients, there are external benefits to society. Providing access to preventive health care services to the impoverished can minimize the burden on emergency care facilities that must treat all individuals, regardless of their ability to pay. If this can be reversed, then this should theoretically lower insurance premiums because private insurance companies would no longer need to shift the cost of uncompensated care to middle-income and high-income individuals. Other factors, such as lack of resources toward education and workforce training, contribute to large disparities in wages. In an economy that places more value on intellectual skill, rather than manual labor, there is great frustration and discouragement that leads to unproductive behavior, such as crime and immoral behavior. If workforce skills are enhanced and job marketability increases, then criminal and immoral activity from the poor will be less attractive and that will bring relief to everyone else. Even though the $85 billion is an infinitesimal portion of annual government spending, its cuts will be from discretionary spending, rather than mandatory spending. This is an important distinction because the federal budget primarily consists of mandatory spending, such as Social Security, Medicare, and Medicaid. Neither will be touched with the sequester. Since these cuts will cover a smaller portion of federal spending, its impact will be potentially larger. Most of the negative impact will go to national defense where there will be cuts approximating 9%, while other federal agencies will see their budgets slashed by 5%. When one asks why the sequester did not allow more flexibility to make cuts to government, it is because both political parties value government in different ways. 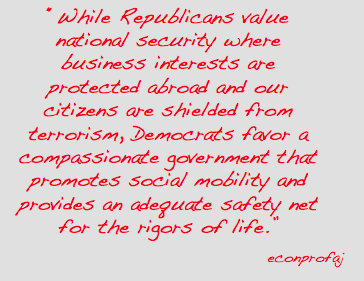 While Republicans value national security where business interests are protected abroad and our citizens are shielded from terrorism, Democrats favor a compassionate government that promotes social mobility and provides an adequate safety net for the rigors of life. The policymakers thought that this process will lead to compromise and common ground where both sides gave a little. Of course, we found out how inflexible and rigid both parties were. Over the next few months, it is my suspicion that both sides will recognize the important role that government plays in our overall well-being. It will just be for different reasons.